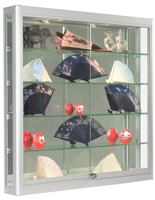 This type of case features bright illumination to put merchandise, artwork and collectibles in the spotlight. 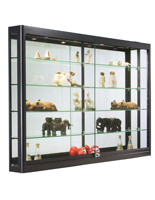 With these display cabinets with top lighting, any business or gallery can showcase their prized curios in a prominent position, promoting sales and drawing attention. 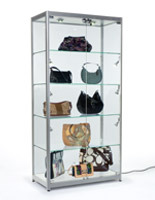 Each stand shown here comes with ceiling mounted spotlights that surround its contents with a halo of light. 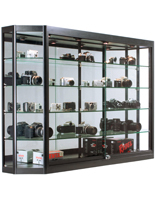 While they’re ideal for retail stores and art exhibits, display cabinets with top lighting are also an excellent choice for home use where they can feature prized family heirlooms, sports memorabilia and personal valuables. 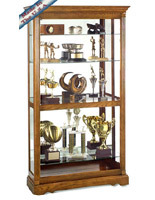 Schools can use cases like these to show off trophies, student projects and awards in hallways and entrances. 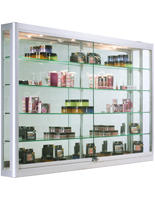 Office buildings frequently use display cabinets with top lighting to hold product samples and effects from the company’s history in lobbies. 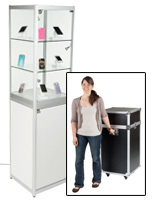 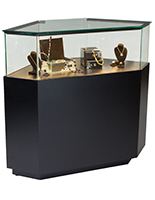 What makes these showcases great for a number of different industries and locations? 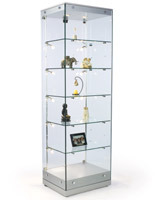 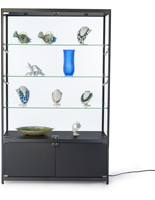 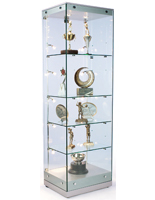 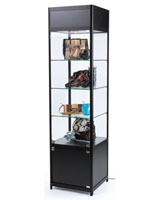 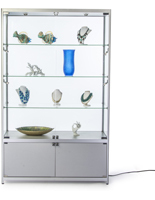 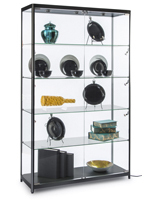 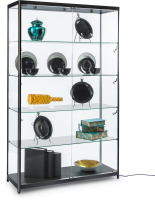 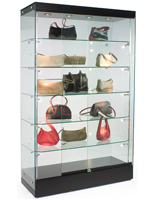 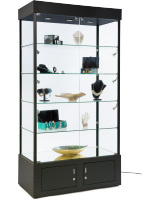 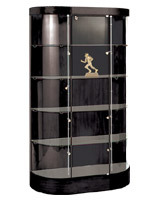 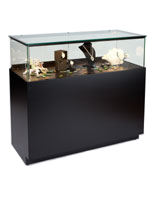 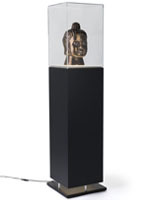 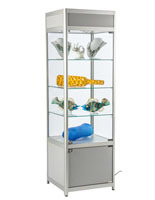 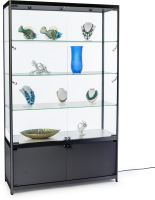 Display cabinets with top lighting are offered in a variety of shapes and sizes. 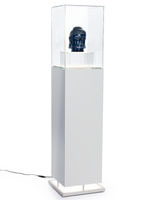 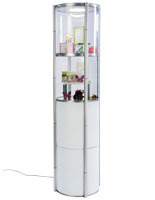 Available here are wall mounted and floor standing fixtures for multiple setup options. 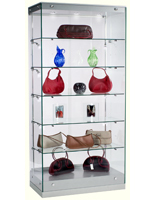 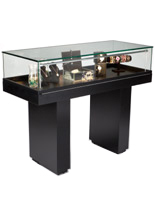 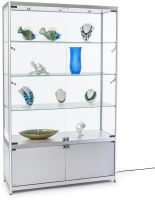 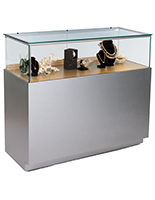 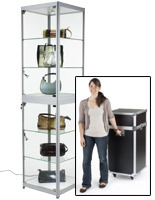 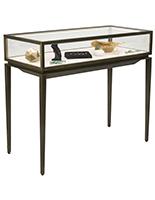 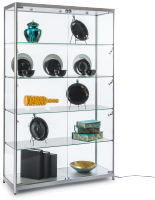 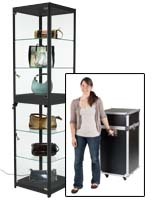 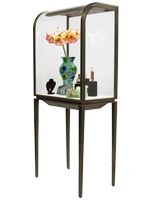 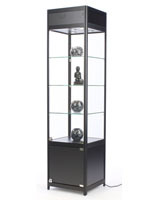 Small, medium and large display cabinets are offered for filling open spaces in stores and galleries. 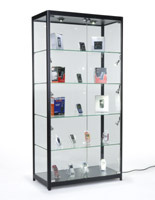 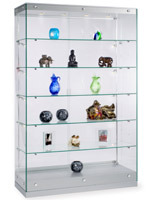 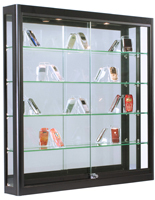 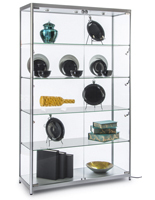 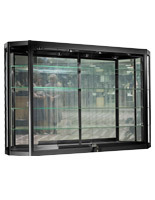 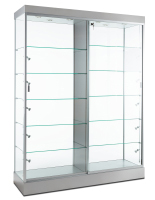 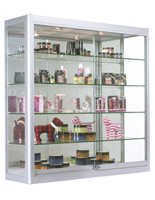 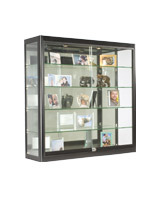 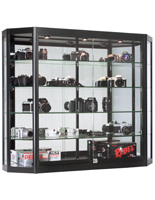 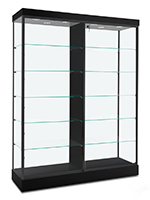 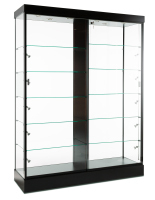 However, all cases share see-through tempered glass shelves, doors and panels for maximum visibility. 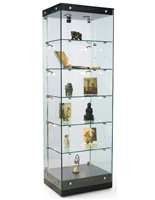 These display cabinets are offered with different types of lighting including halogen and energy efficient LED. 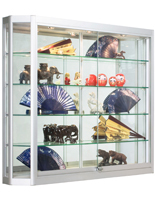 Other features like additional illumination, locking doors, hidden storage areas and mirrored surfaces can also be found in these models.